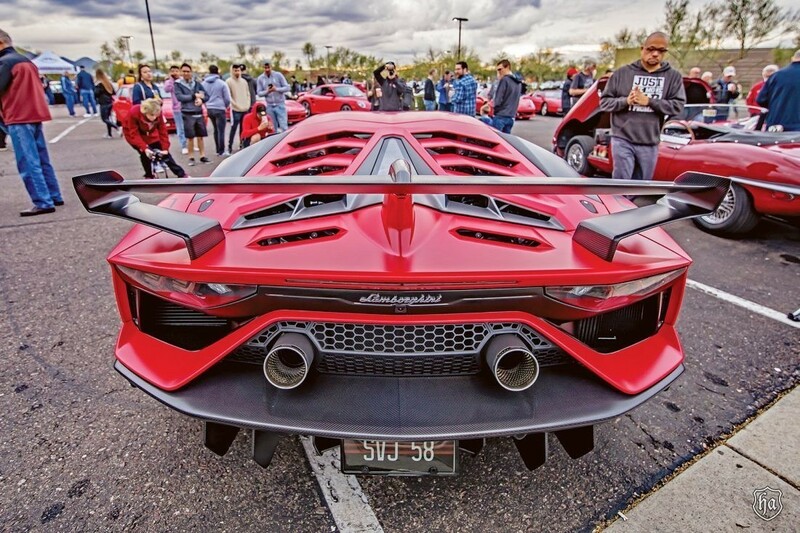 Since the Phoenix Open Golf is held at the same time, and they carry on about greens, the guys at Scuderia Southwest decided to go red this month. 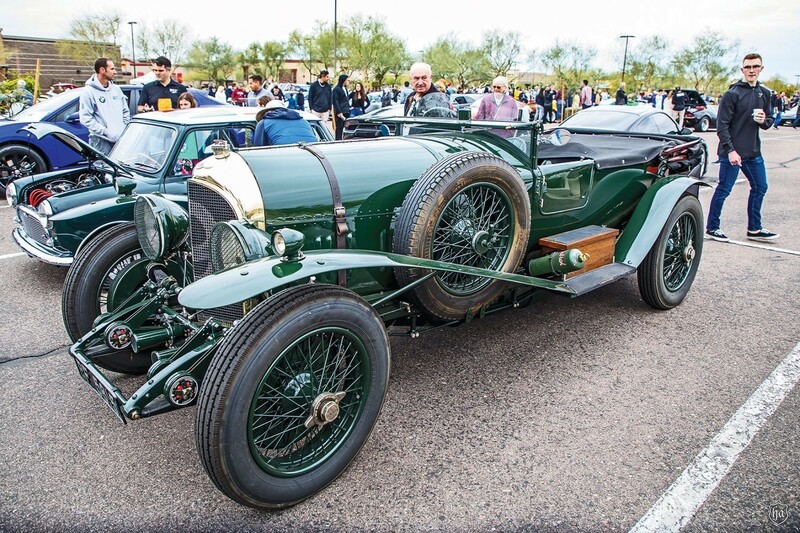 Of course, their wheels only do about 5MPH and only have a one speed gearbox. 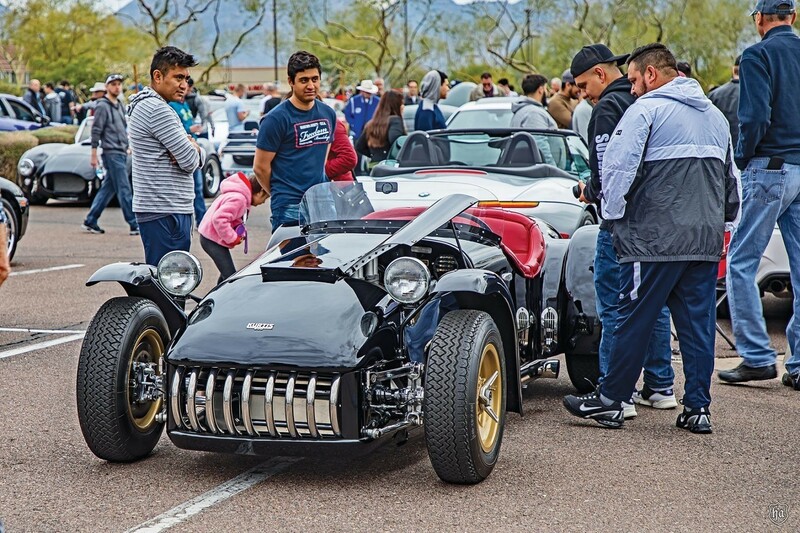 Despite the golf tournament and a cool, cloudy day with the threat of rain, it was another record turnout. 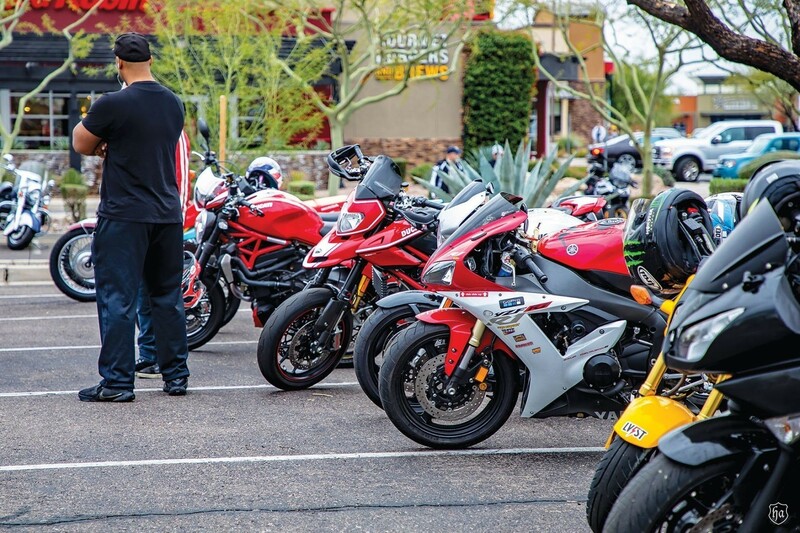 The European, domestic and Asian sections were all full and there was also a healthy turnout of motorbikes. 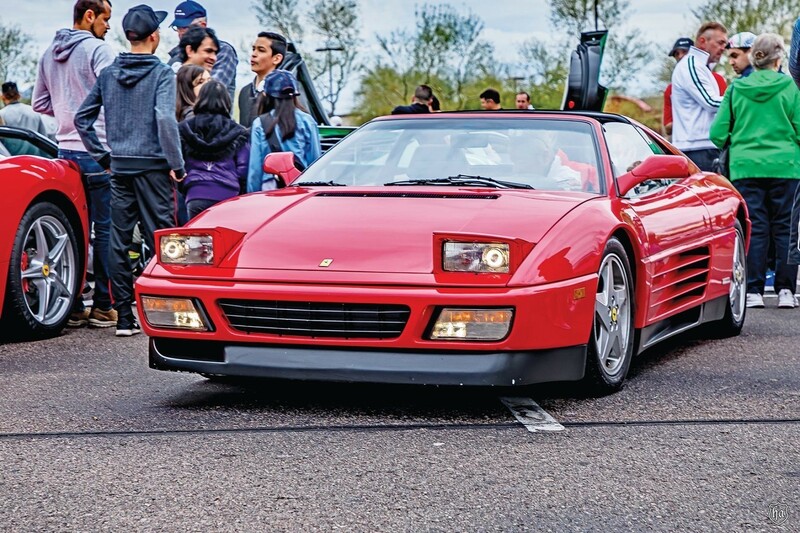 Of course, there was no shortage of spectators admiring the machinery either. 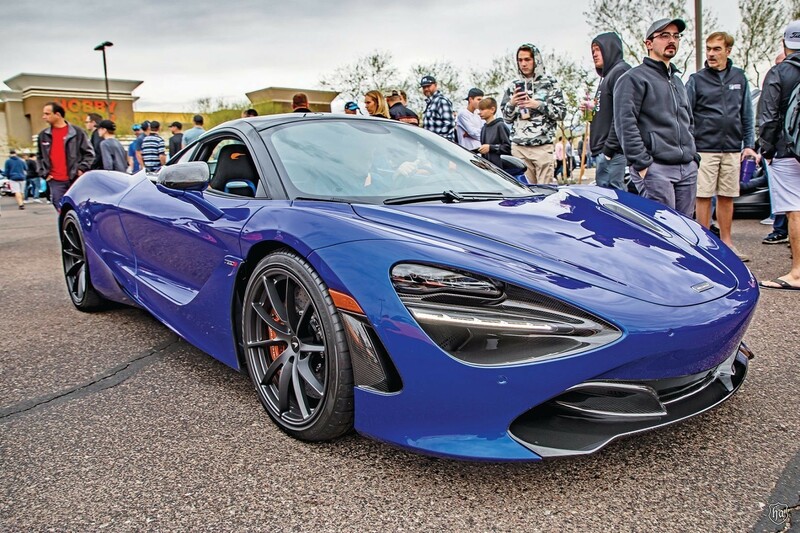 Proof of the magnitude of Arizona in the high-performance and collector car world was evident in two of the new McLaren Sennas sitting side-by-side in a large display of other McLaren models. 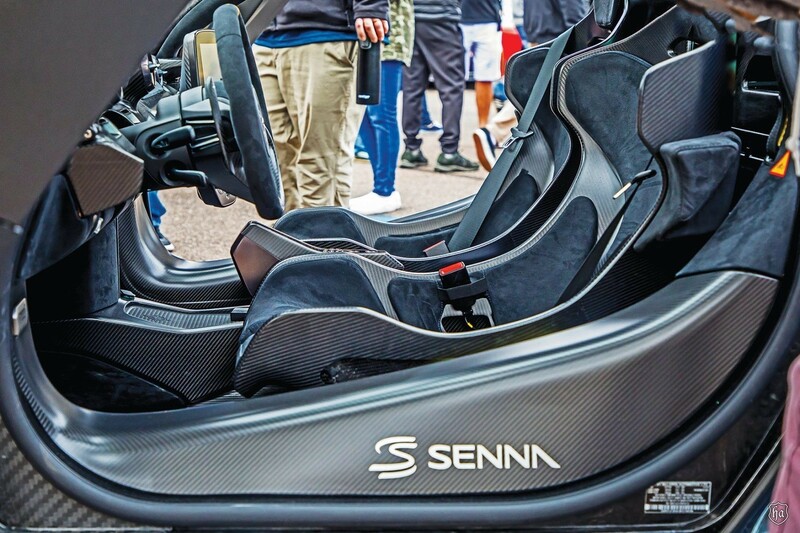 Since only 500 Sennas are manufactured for the whole world, to have not one but two here, shows how disproportionately important this area really is. 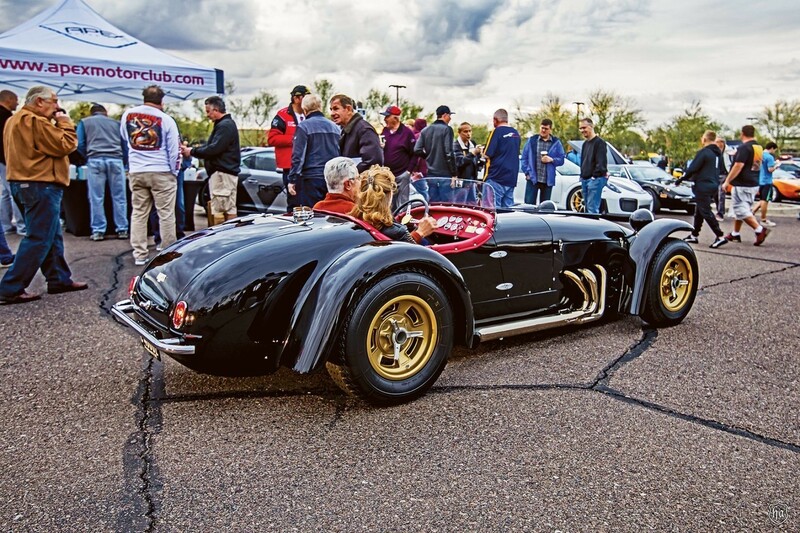 As if those two weren’t proof enough one of the rarest cars in the whole world was on display – the one and only Cobra III Lonestar. 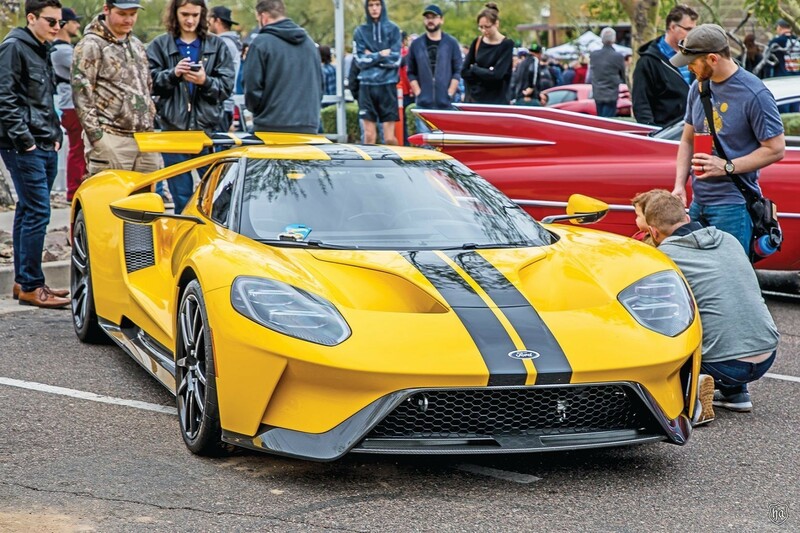 Shelby’s 289 Cobra was the Mark I, the 427 was the Mark II and this prototype was designated the Mark III but before Shelby could go into production Ford assigned the GT40 LeMans campaign to Shelby. 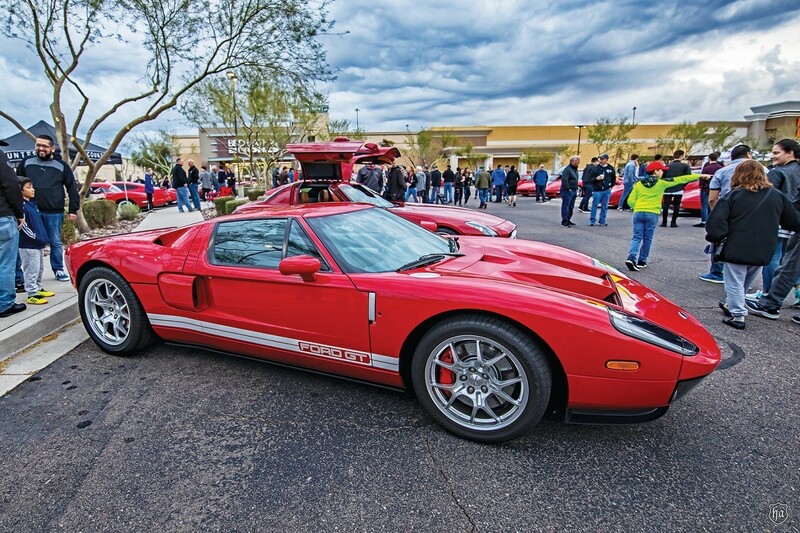 Without the resources to do both the Cobra III went on the back burner and never went into production. 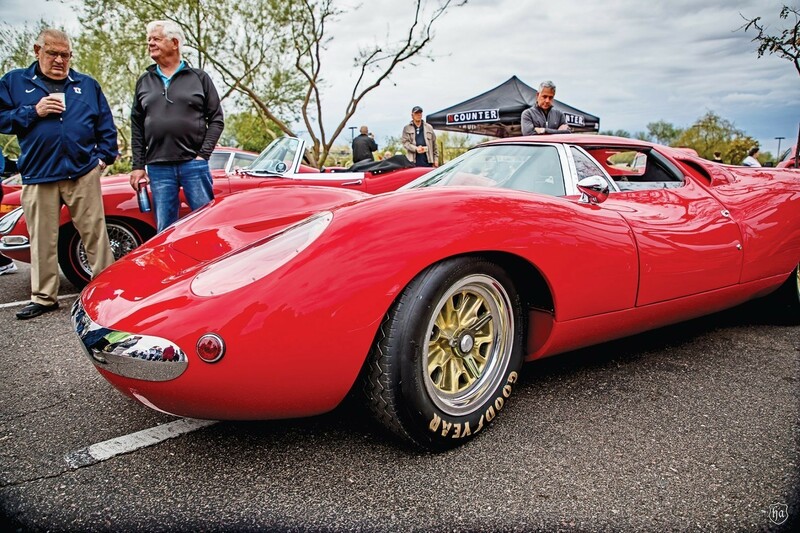 A sleek, futuristic for the time, mid-engine design, the car still looks racy today. 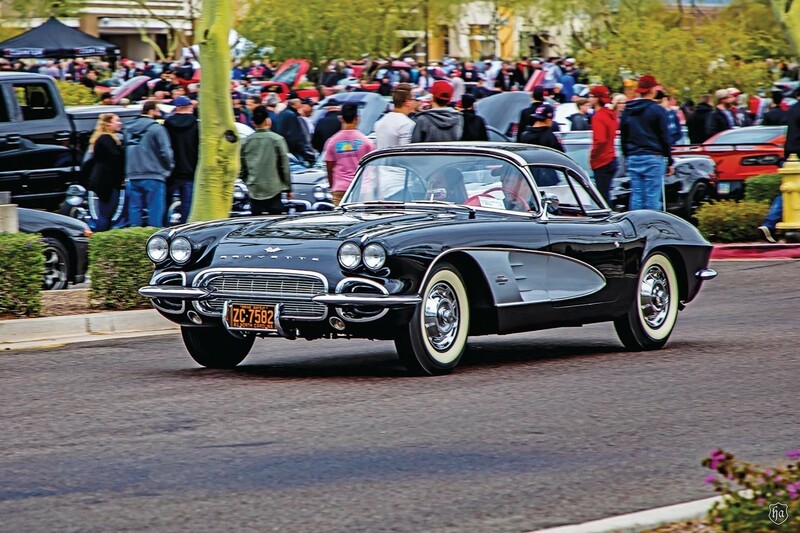 An estimated 700+ cars were on display admired by crowds of several thousand and even the rain held off. 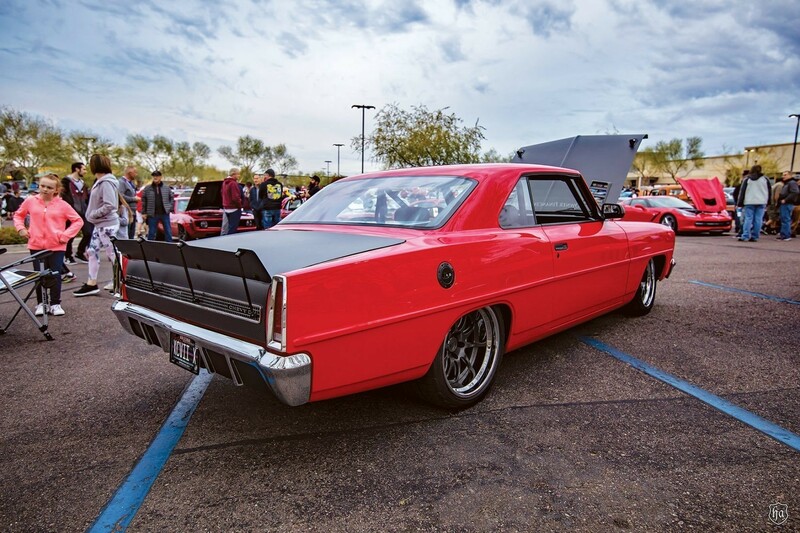 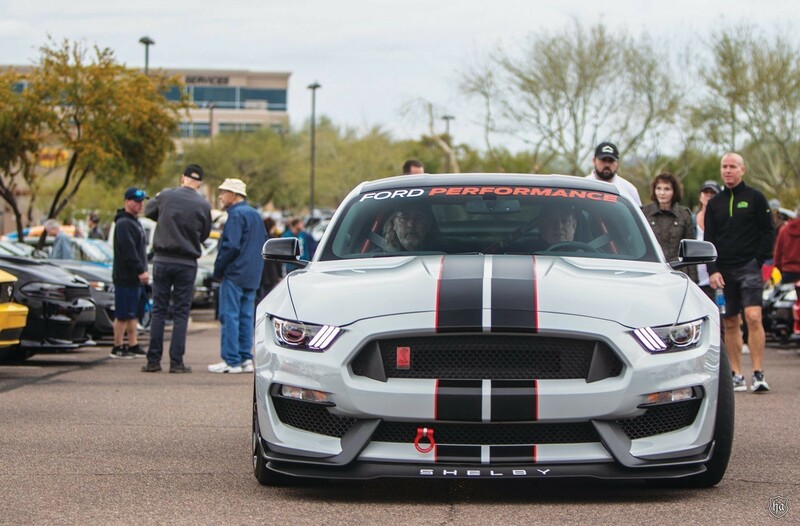 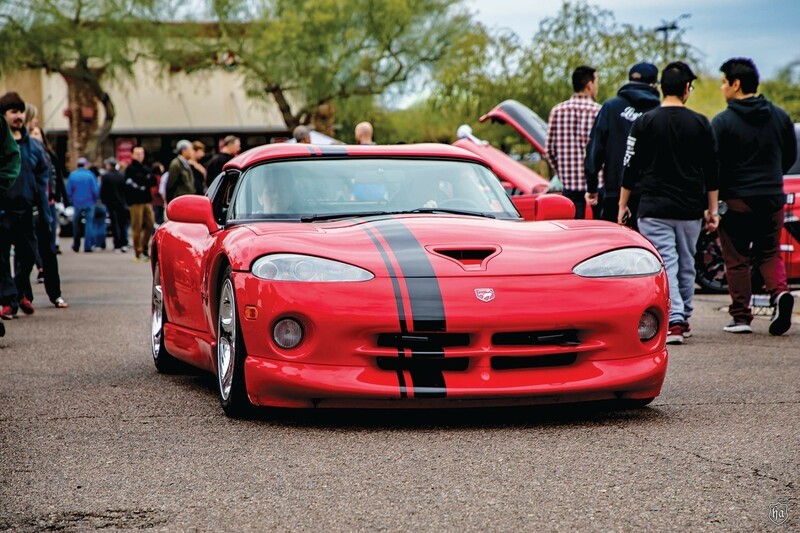 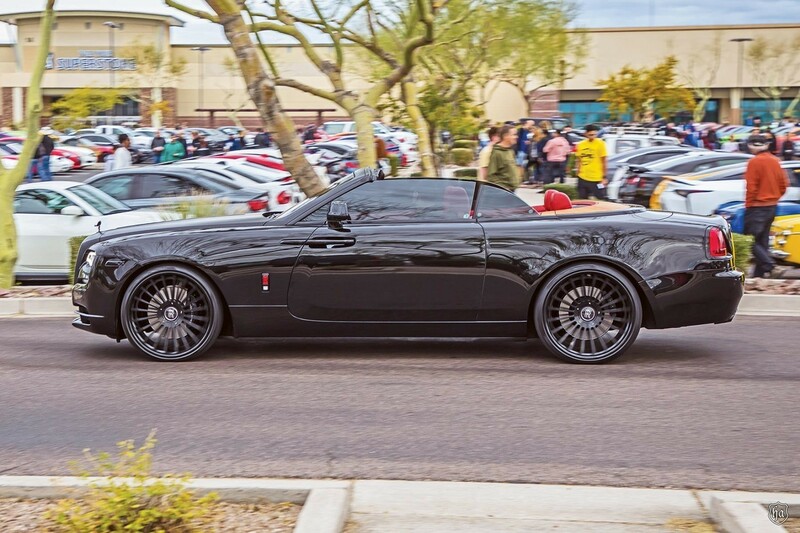 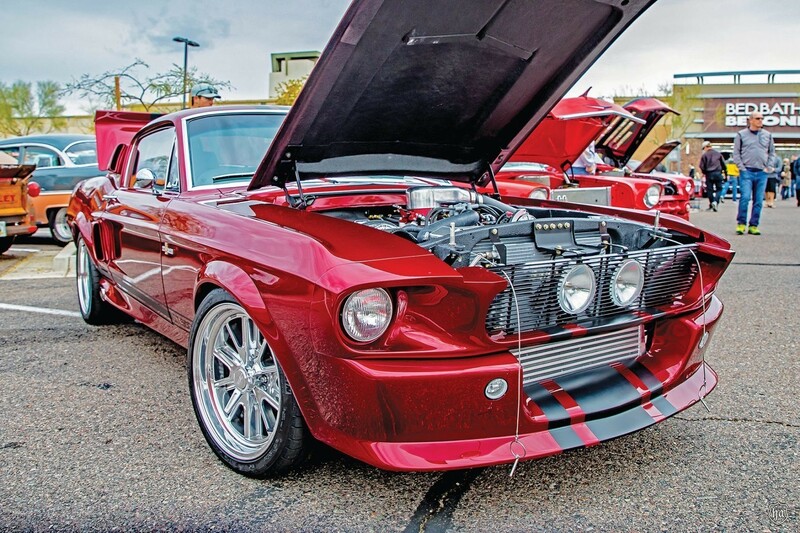 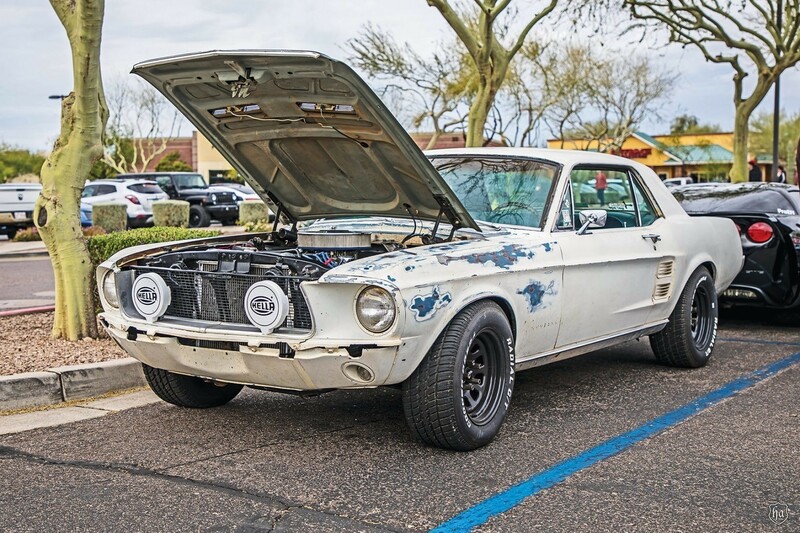 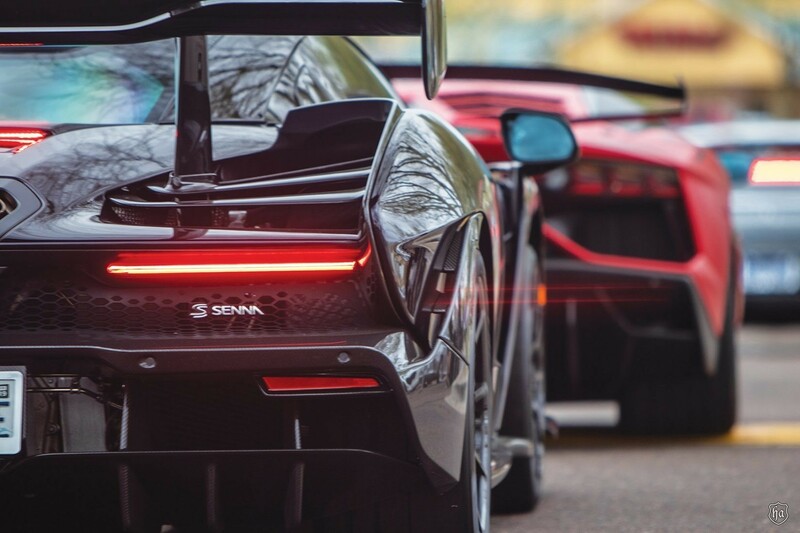 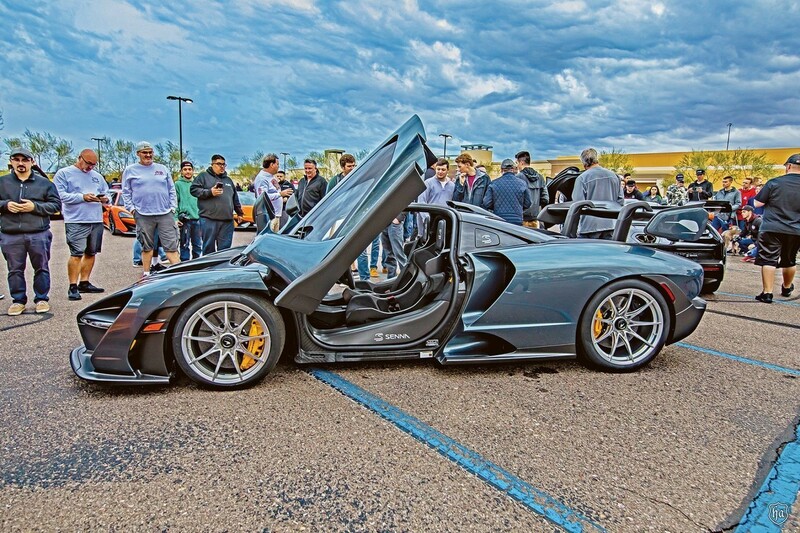 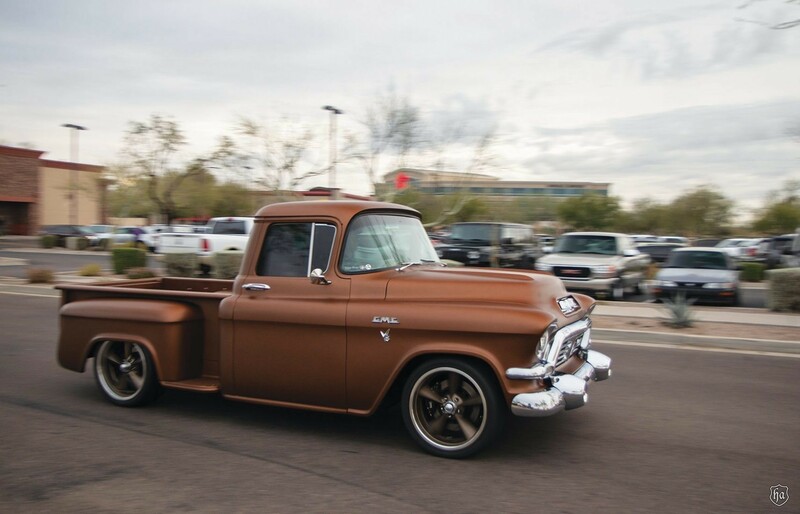 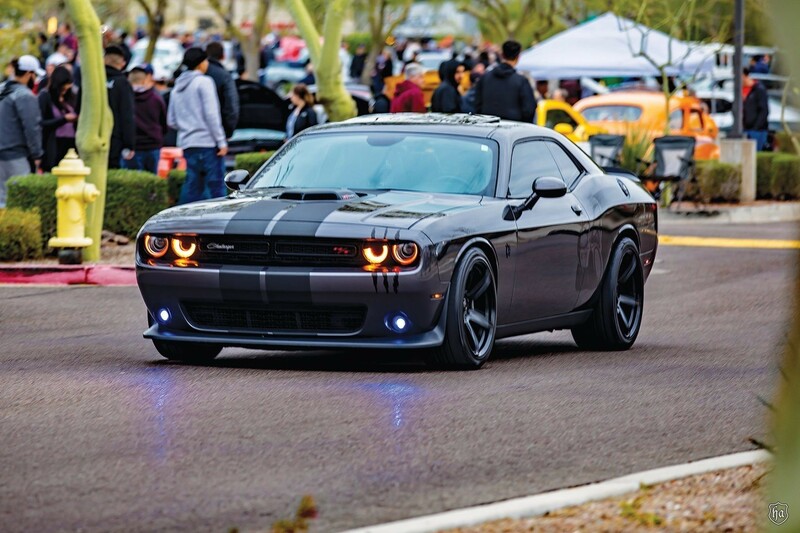 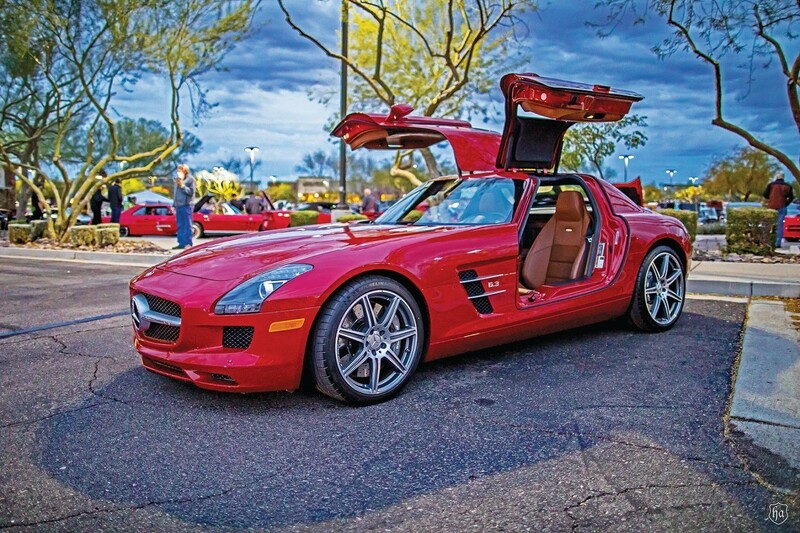 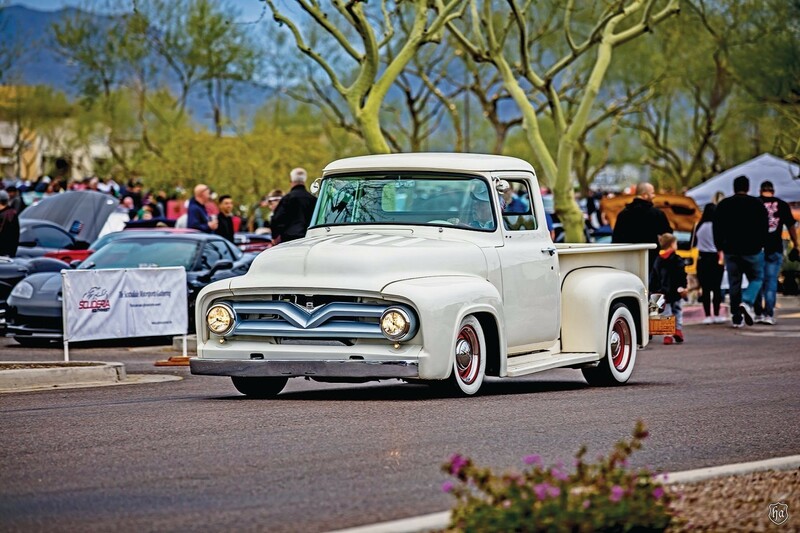 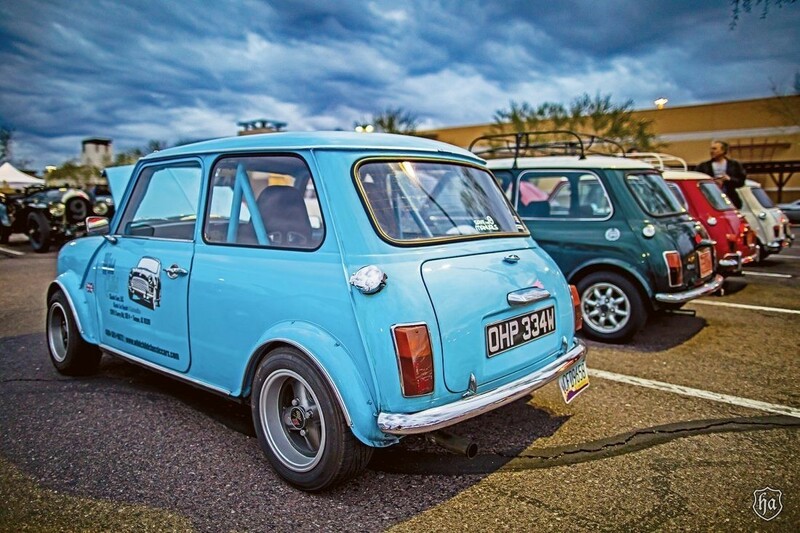 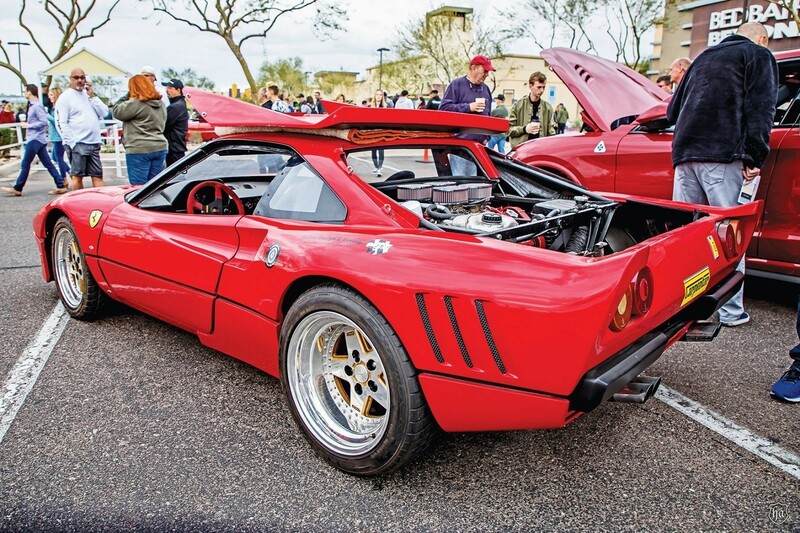 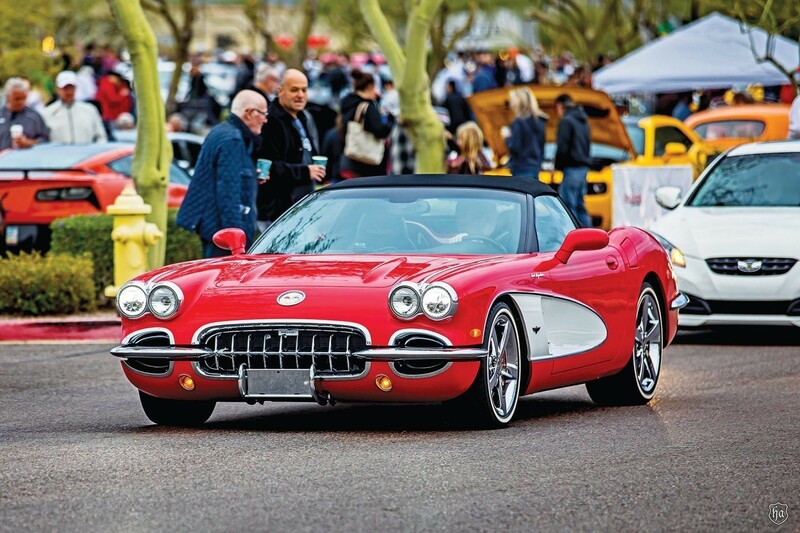 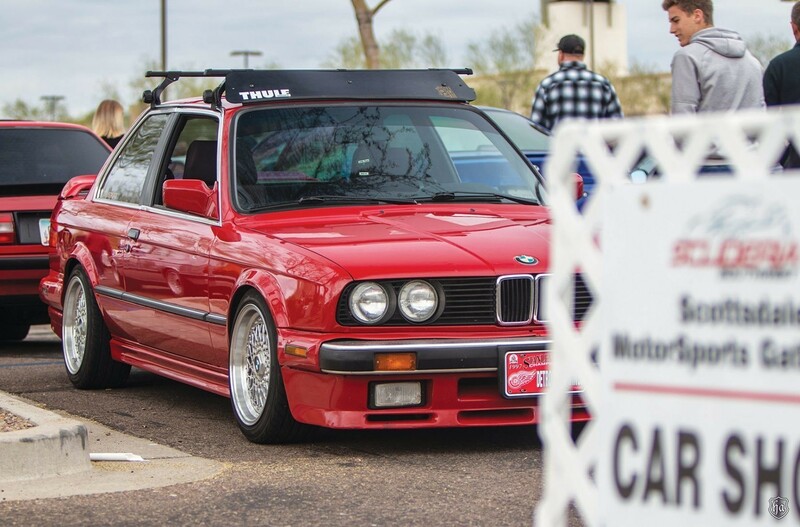 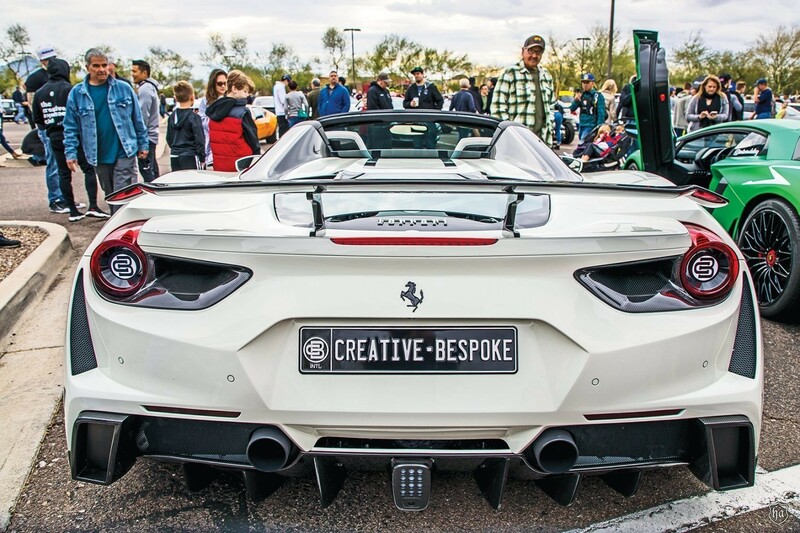 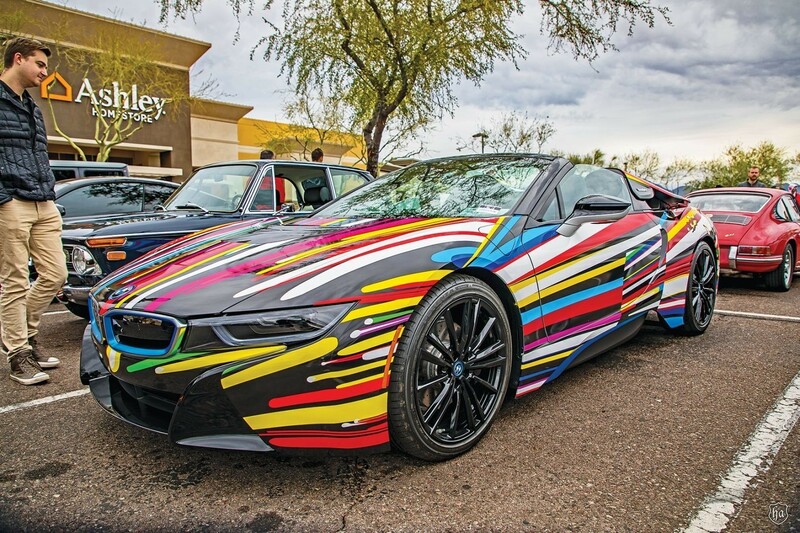 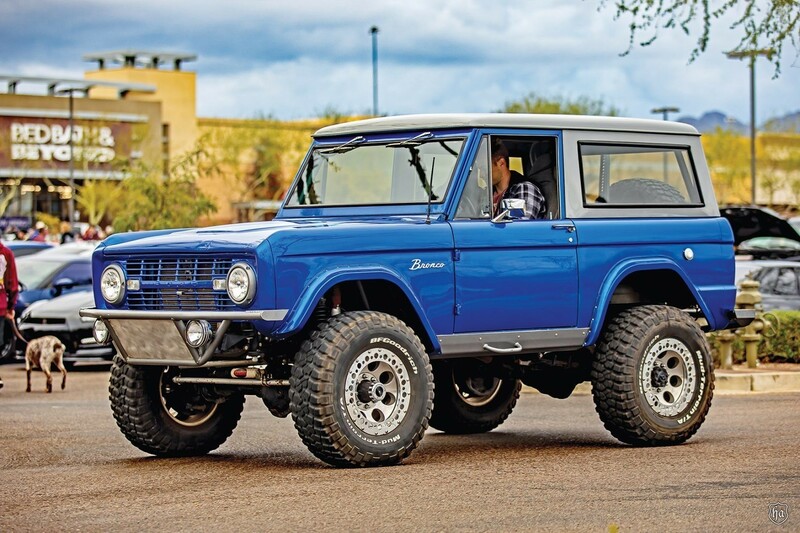 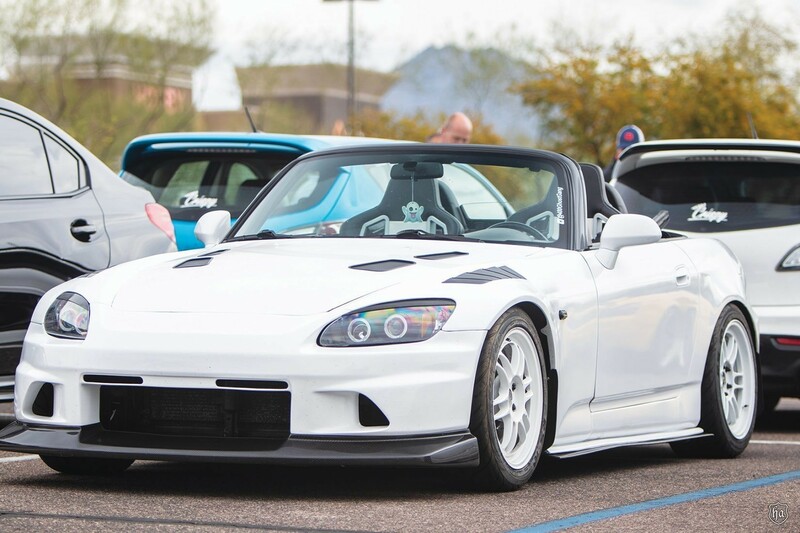 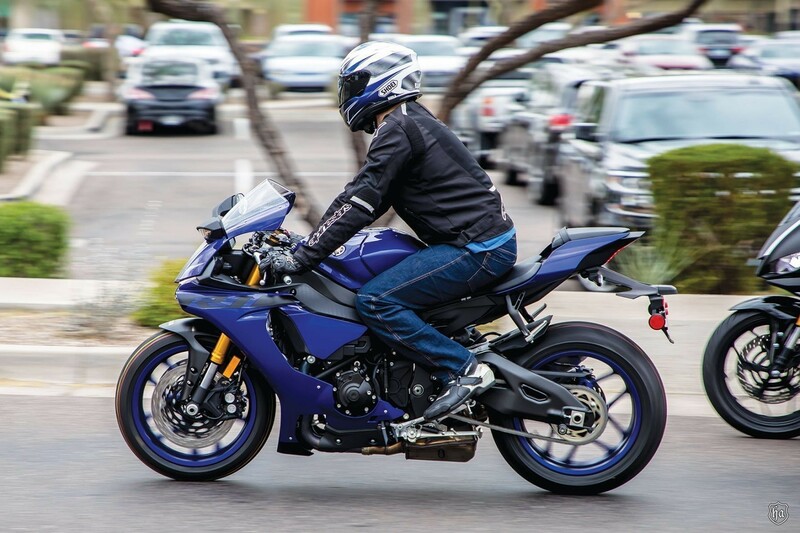 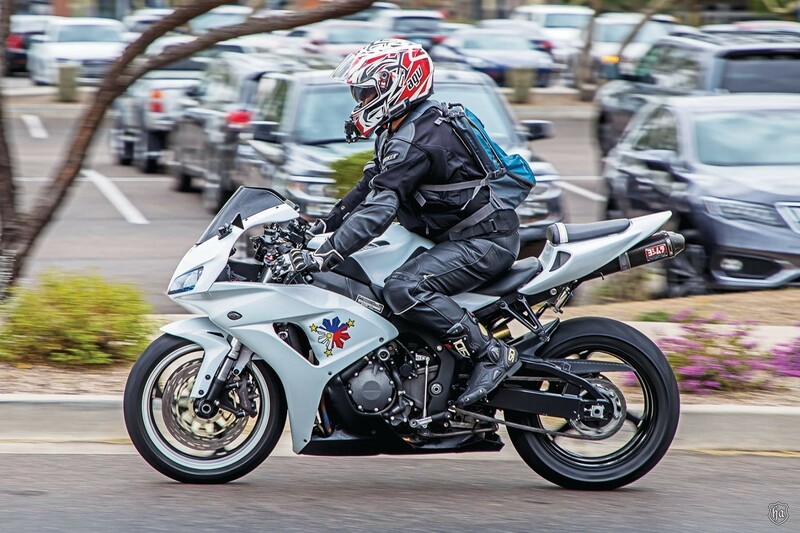 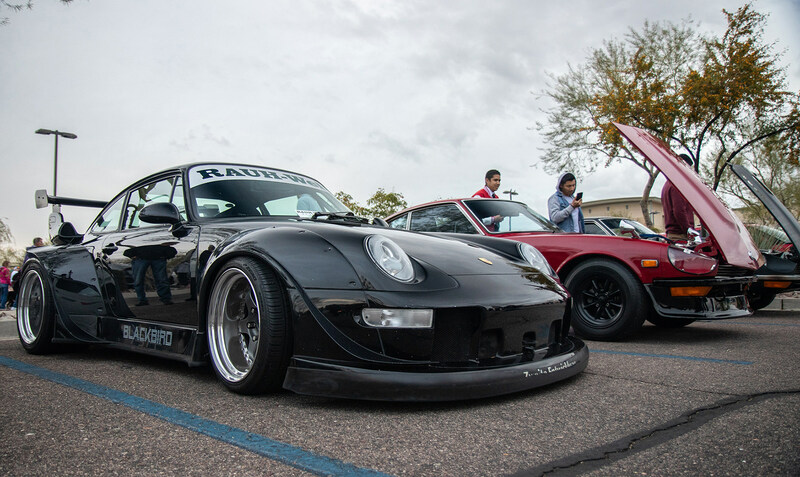 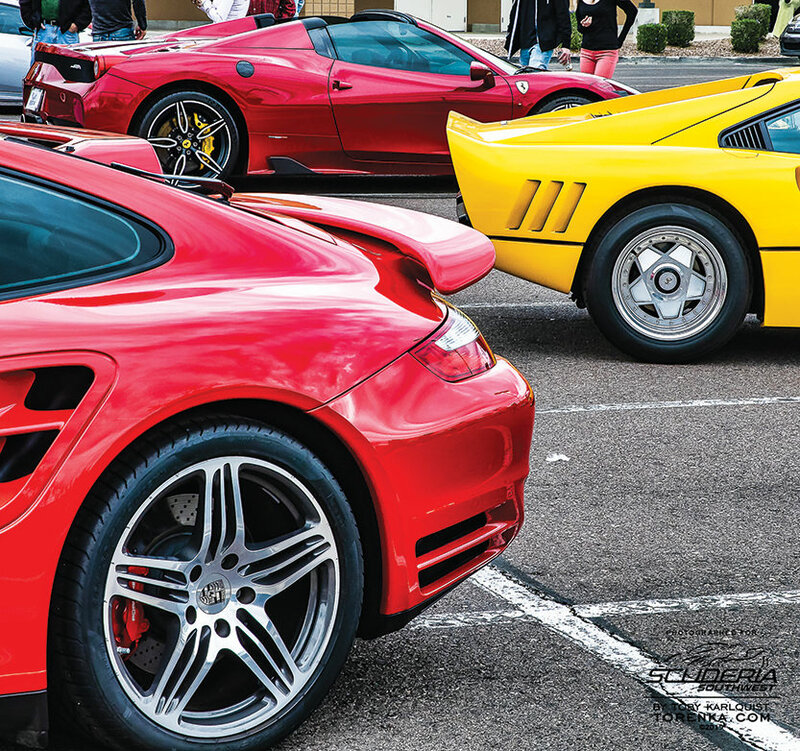 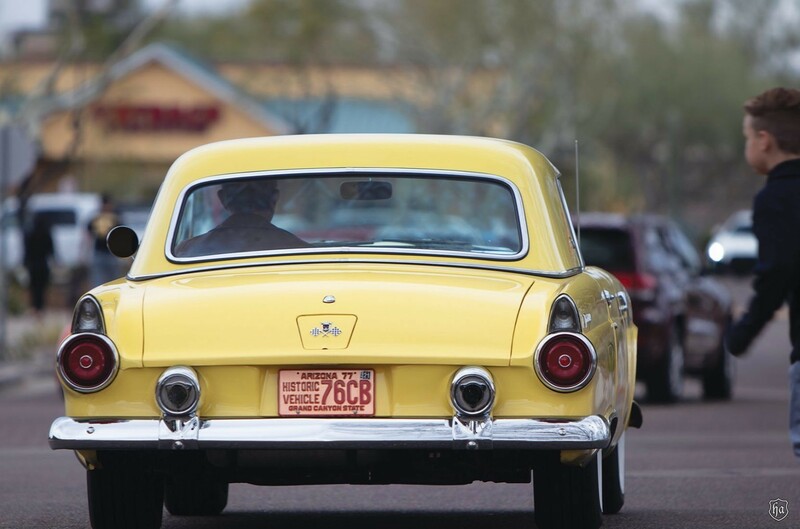 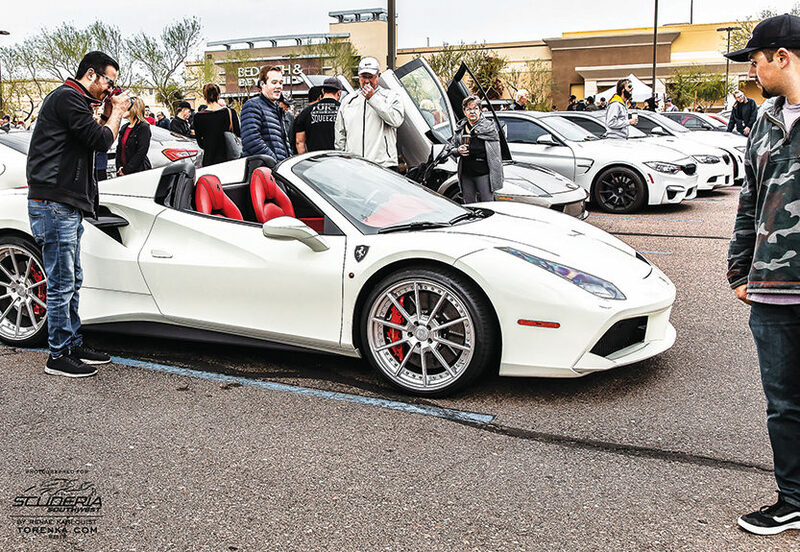 The Scottsdale Motorsports Gathering is held all year through on the first Saturday of every month at the Scottsdale 101 Shopping Center on the NW corner of Scottsdale Rd. 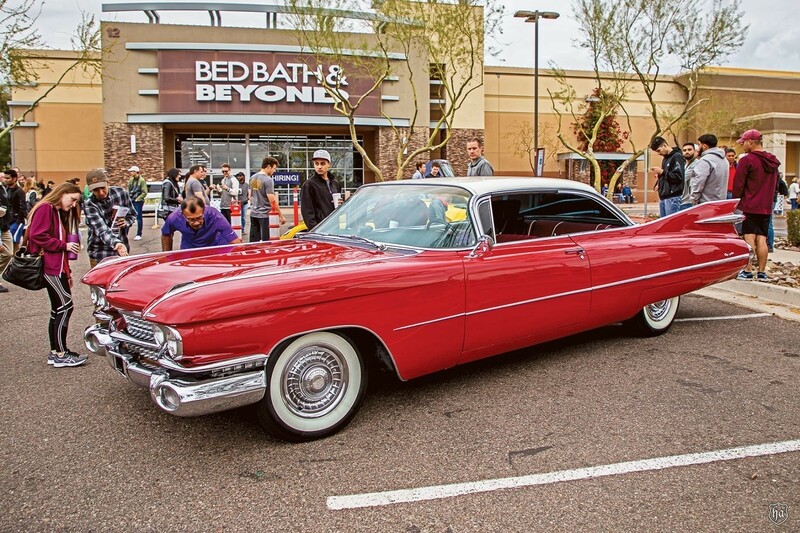 & Mayo Blvd just one short block south of the 101. 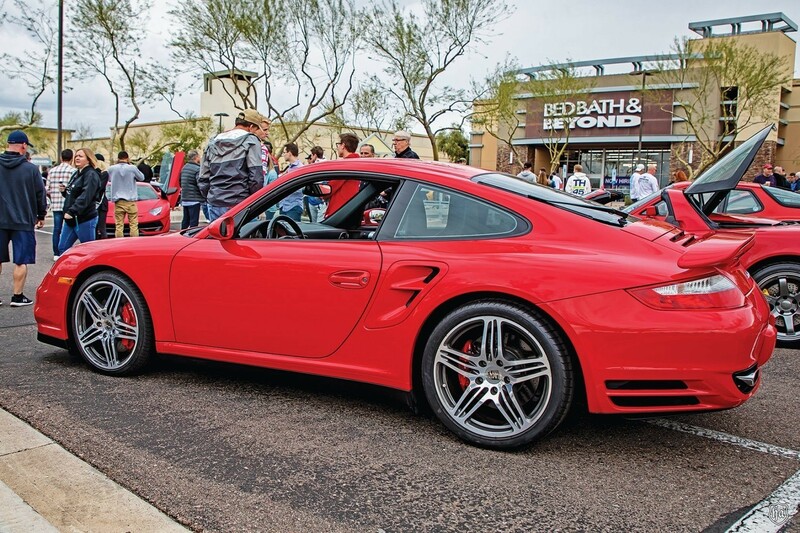 It officially runs from 7AM – 10AM, but cars really start coming much earlier than that. 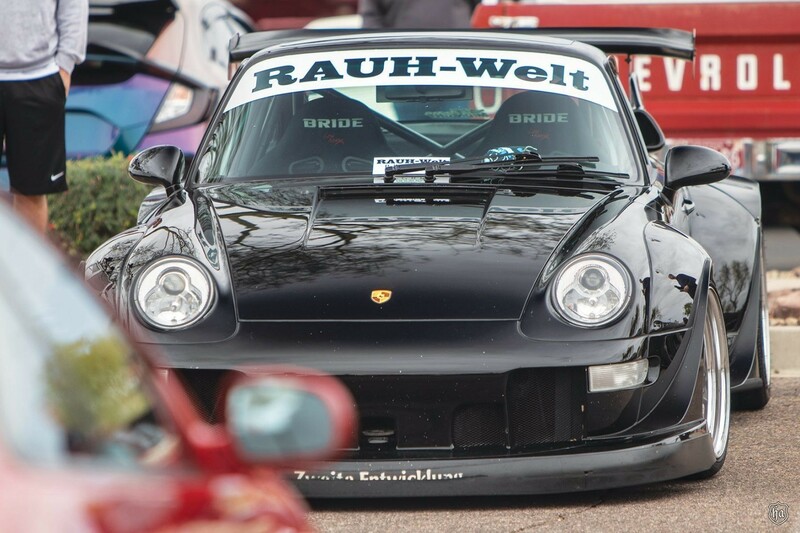 Thanks to our sponsors it’s completely free for anyone wanting to show a car and free for spectators too so come on down and see some truly amazing cars. 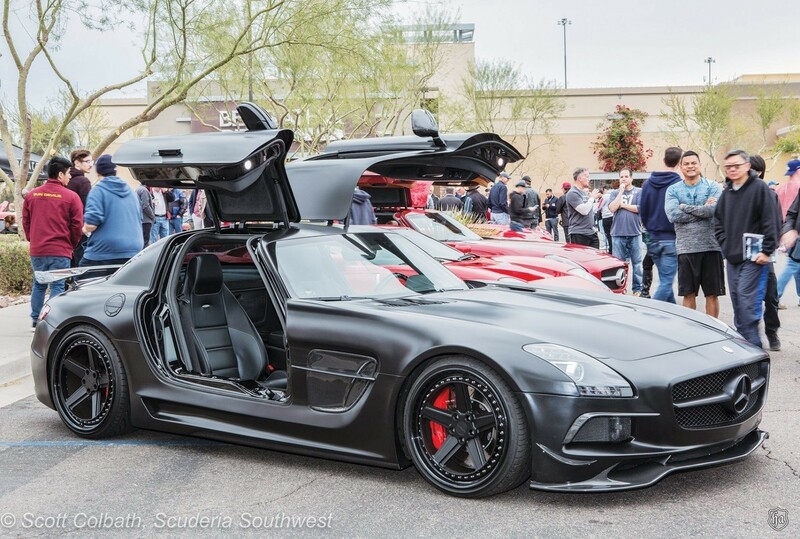 For additional details visit www.scuderiasouthwest.com.